I don’t believe in New Year, New Me. But I do believe the new year is a good time to set yourself goals for the year ahead. 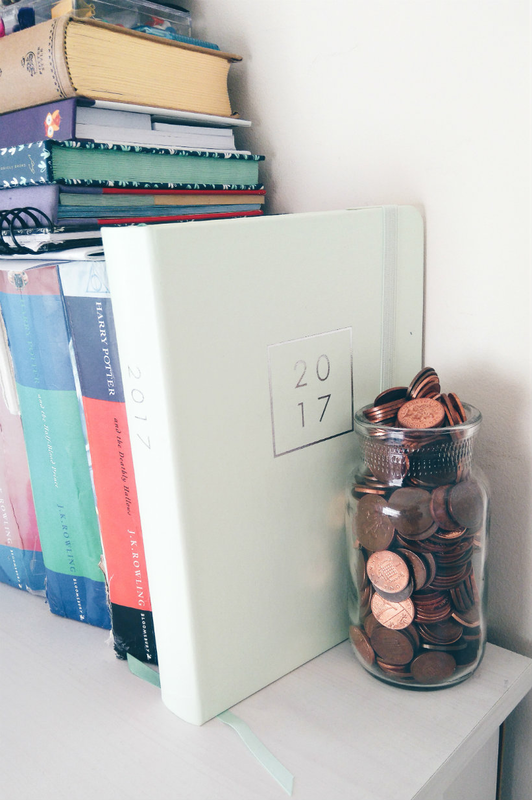 Really, you can change things at any time of year, but January offers a fresh start unlike that of any other month and I love getting organised. I’ve bought myself a massive 2017 diary from kikki.K and I’ll be carrying it everywhere with me. Normally I think of goals and then promptly forget about them by the time February rolls around, but I’ve written them on a postcard and put them in the back of the diary so I can remind myself if needed. 2017 will be the year when I stop saying I’ll go to events because I feel like I should, and stop saying I’ll go out out because ‘it might be fun’. I always get bored and it is never fun. I don’t like drinking; I like curling up underneath a blanket, book in hand. I’m going to make more time to go to the cinema, galleries, museums, and the theatre, spend more time reading and writing, and take more photos. Give me all of the culture. I’ve been cruelty-free long enough to have a pretty solid idea of what I can and can’t buy on the high street, but now I’ve got that down I want to start thinking outside the box. There are plenty of independent companies with wonderful, ethical approaches to beauty — I want to support them by buying their products and bringing attention to them on this blog and social media. A scary but oh-so-exciting work opportunity has come my way and I want to take it. Nothing is set in stone yet (although I have my fingers crossed!) so I don’t want to go into too much detail. What I will say is that 2017 needs to be the year I do the things that scare me. Acne has been the bane of my life for far too long now and I’ve more than had enough. I’m currently using (another) prescription cream and some antibiotics and things seem to be drying up, so I’m quietly hopeful. What are your goals for 2017? Let me know in the comments and feel free to leave links to your goals posts too!